Zebronics Closic Mirror review: The Zebronics Closic Mirror is practical, has something for everyone and every time of the day. What all should a Bluetooth speaker do? This seems to be a question that has many manufacturers flummoxed. Zebronics, a maker of accessories from Chennai, seems to have found the answer: do everything. Their new product, the Zebronics Closic Mirror does just that: everything. 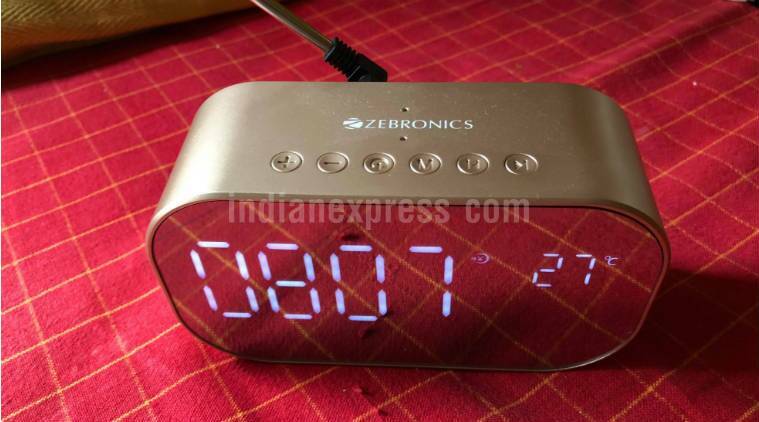 So the Zebronics Closic Mirror is a Bluetooth speaker, it has an inbuilt FM radio, it can play music from USB drives and SD cards, has a Line In option and shows weather and time on its glossy mirror-like front face. What is it first, I know not. 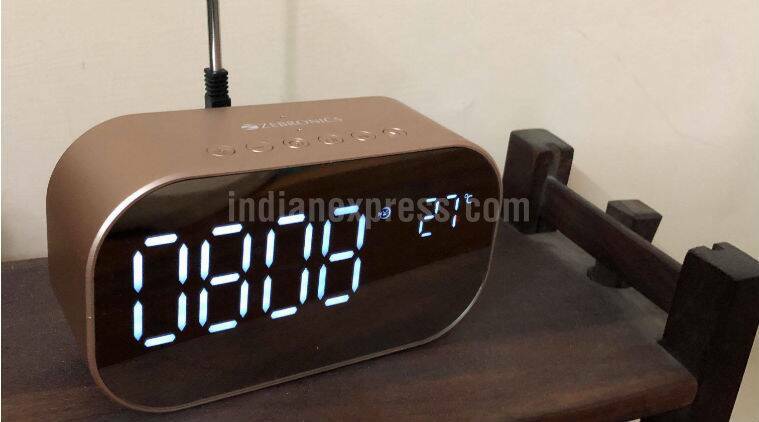 The Zebronics Closic Mirror looks like a trendy alarm clock to start with. I’m not a fan of the mirror finish, but it will impress a lot of people with better taste than me for sure. On top of the box are power, volume, mode as well as back and forward buttons. At the rear are a USB port, micro-USB port for charging, SD card slot and a 3.5-mm port that can be used to connect to a source or to plug in the radio antenna that comes in the box. The box weighs under half a kilo and will look good on your office table or night stand, or wherever you want to use it. 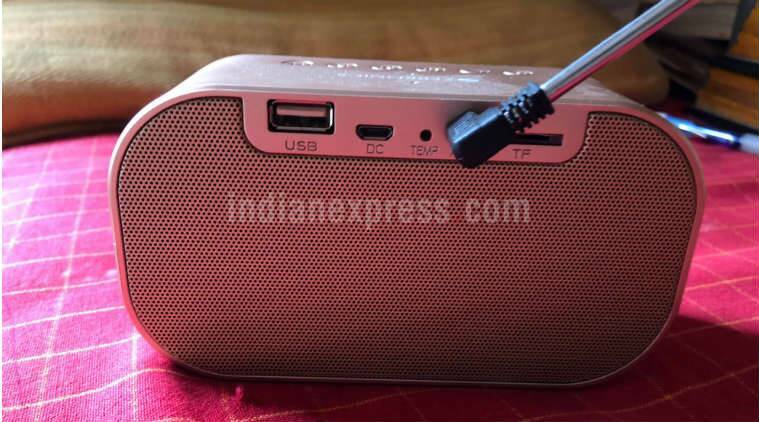 At the rear are a USB port, micro-USB port for charging, SD card slot and a 3.5-mm port that can be used to connect to a source or to plug in the radio antenna that comes in the box. Given that this is not a very expensive speaker and that too coming from a local player, I was not expecting much when it comes to audio quality. This is where I was pleasantly surprised. The audio quality of the Zebronics Closic Mirror is actually very good. It is loud, but without muffling the different notes. And I kept playing Rabindranth Tagore’s Bhanusimha Thakurer Padabali , which has been ringing in my ears for a few weeks now. Move to a bit to A R Rahman or a cover of Closer and the experience does not leave you wanting in any way. Those who love vocal heavy music will enjoy this even more. Forget, what else it is packing, the audio quality alone can sell this device, just remember this has a back-facing speaker. However, it was a bit frustrating connecting the speaker to Bluetooth as it does not show up on all devices at all times. Then I realised that was because the speaker was low on battery. In fact, the 1800 mAh battery is one of the disappointments and a low charge it kept switching off. The Zebronics Closic Mirror looks like a trendy alarm clock. The clock face is a big plus and this makes good use of the speaker when it is not in play. In fact, a lot of these gadgets become dead weights after a period of time when the initial novelty has worn off. With the clock, the Zebronics Closic Mirror stays at the top of your mind always, and even when you forget the clock is reminding you of the time. The clock face also shows you the modes and the weather. It could start showing song details to add more value to this display. Overall, the Zebronics Closic Mirror is a good gadget to buy for your house or as a gift for someone. It is practical, has something for everyone and every time of the day. Also, you are not paying too much for this at the end of the day. Go ahead and buy it.